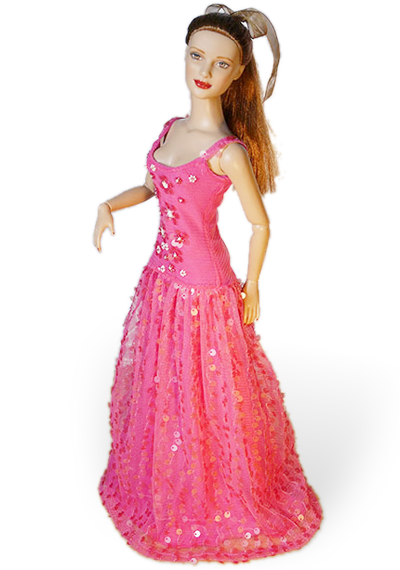 The dress is inspired by renaissance style but created with sweet doll look. This is only one a kind (OOAK) model. The upper cloth is mixed cotton-silk material of nice pastel pink color with dark accents, decorated by lace and braid edging. The petticoat is light soft transparent creamy material with lace decoration. There is also beaded neckline of bodice. The dress is inspired by renaissance style but created with sweet doll look. This is only one a kind (OOAK) model. The upper cloth is mixed cotton-silk material of nice pastel pink color with dark accents, decorated by lace and braid edging. The petticoat is light soft transparent creamy material with lace decoration. There is also beaded neckline of bodice. All inner seams are flat or hidden. Both parts of dress are lined in upper part and has precise fastening with buttons and hooks.